A historic visit which aims at leaving behind hate and division and to build bridges of cooperation and understanding. 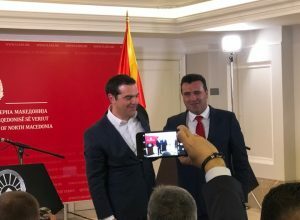 This was declared by the Greek Prime Minister, Alexis Tsipras in Skopje following a meeting that he had with his counterpart, Zoran Zaev. He said that he and PM Zaev are building a different story for the Balkans through the implementation of the Prespa agreement and by building up trust between the two countries. “These are successful efforts not only for Greece and North Macedonia, but for the Balkans and Europe too”, Tsipras said. The Greek PM said that this is the first visit of a Greek PM in the country and according to him, it took 30 years to establish normal relations between the two countries. 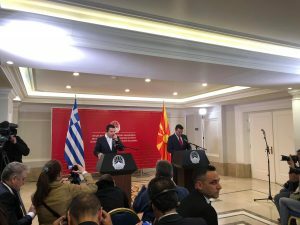 “This is why we need to make up for lost time”, the Greek PM said, adding that he and Zaev talked about cooperation within NATO and also in terms of regional cooperation. According to him, Greece will support North Macedonia in its efforts and reforms to become part of EU. “This country can play a very important role, because it connects Greece to Serbia. Economy was at the focus of this meeting and we need to intensify our efforts”, Tsipras said. The two prime ministers said that they have appointed a coordinating committee which will support cooperation process, economic cooperation in particular. Tsipras also spoke about the monuments which were part of Skopje 2014 project, stressing that dilemmas on this issue will soon be clarified. Tsipras also said that these monuments belong to Greek antiquity. The two prime ministers also pledged that they will work hard to create new jobs, to do more about tourism, trade, culture, etc. According to them, a joint committee of experts will be set up this year and its job is to address pending issues. 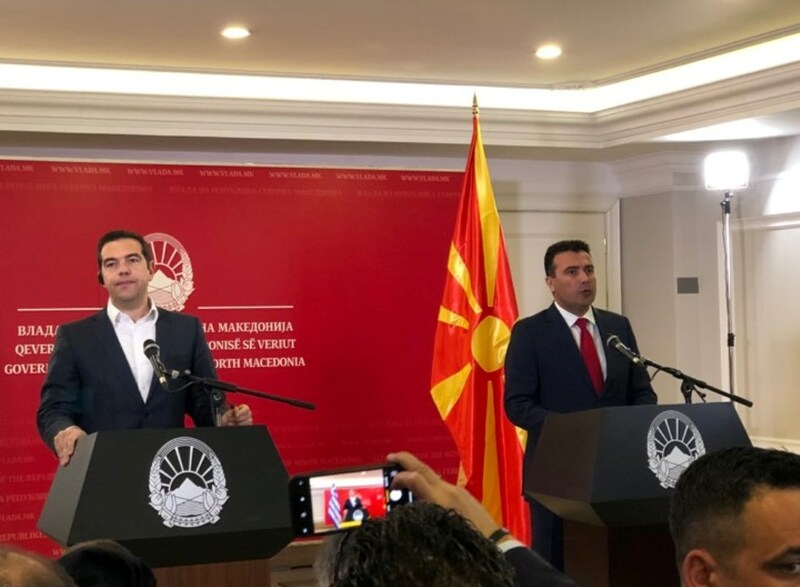 On his part, PM Zoran Zaev said that this is the first time that Republic of North Macedonia welcomes a Greek Prime Minister. “Up until now, we’ve wasted a lot of time. There are plenty of opportunities in front of us. The two countries showed that by taking courageous decisions, they could realize what up until yesterday was considered to be impossible. The Prespa agreement will serve the interests of both countries. In three years time we’re hoping to address all pending issues”, Zaev said, adding that important agreements have been signed in areas of defence, borders, transport, energy, digitalization, healthcare, agriculture, etc. Zaev also said that a new border crossing point will be opened in Kavadarci. The two prime ministers also answered questions about the fact that oppositions in both countries are against the Prespa agreement. According to them, this process is irreversible and must find a bigger support.